Turkey has always attracted travellers. Over the centuries the landmass of Asia Minor, heart of the great multicultural Ottoman Empire and now the modern Republic of Turkey, experienced waves of migrations in which one civilisation displaced another, leaving a unique and glorious cultural heritage. At first glance, Turkey seems Westernised and modern in many ways—but this appearance is misleading. It is a land of contrasts, a heady mixture of Oriental etiquette and ultramodern city life, deep-rooted religious faith and determined secularism, a fierce sense of national pride and openness to foreign ideas. 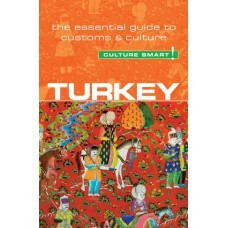 Turkish culture is a distinctive blend of European and Middle Eastern ways of life. The Turkish people are very much their own centre of gravity, and for the unwary visitor there are pitfalls to avoid as well as great riches to be found. Culture Smart! Turkey aims to help you understand the paradoxes of Turkish life. 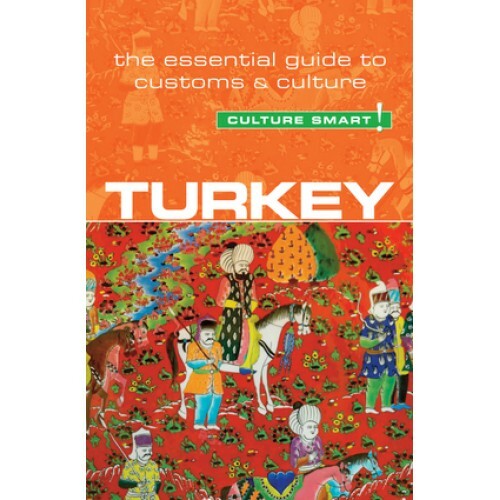 It outlines the complex history of Anatolia, provides key insights into Turkish values and attitudes, describes important customs and traditions, and reveals what life is like for the Turks at home, at work, and at play. It offers practical tips and information about what to expect and how to behave in different situations. A unique mix of Islamic and European culture, the Turks are extremely hospitable, open, and pleased to meet foreigners. If you show an interest in their culture and respect for their point of view they will repay your effort many times over.